Matter between EFF, Gordhan referred to High Court - SABC News - Breaking news, special reports, world, business, sport coverage of all South African current events. Africa's news leader. 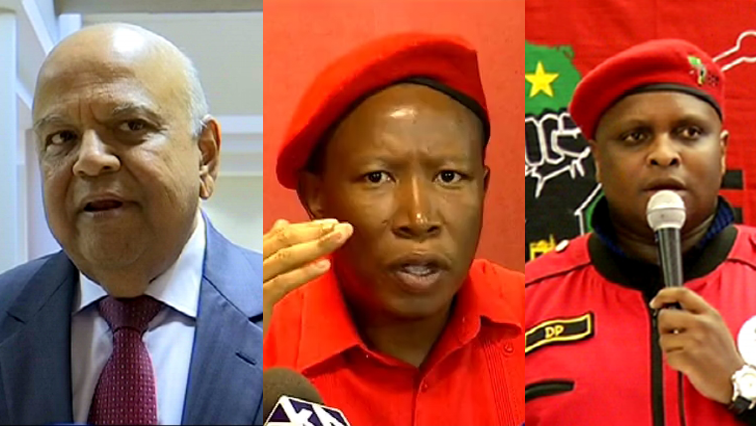 The Equality Court has referred the matter between Economic Freedom Fighters (EFF) leaders Julius Malema and Floyd Shivambu and Public Enterprises Minister Pravin Gordhan to the Johannesburg High Court. This is after opposition leaders challenged the constitutionality of Section 10 of the Equality Act. The section outlaws hate speech which includes words or actions aimed at being hurtful, incitement or promoting hatred. The Equality Court ruled that the Magistrate’s Court lacked jurisdiction to determine the constitutionality of the legislation, saying there were larger issues to be determined. A date to hear the matter is still to be determined. Gordhan laid charges of crimen injuria, incitement of public violence and defamation against the EFF leaders after they accused him of corruption, running a secret cabal and serving the interests of white monopoly capital late last year. This entry was posted on 11 Feb 2019,09:13PM at 9:13 PM and is filed under Politics, Homepage Latest Stories Slider. You can follow any responses to this entry through the RSS 2.0 feed. Both comments and pings are currently closed.